Creating click-worthy copy that entices viewers can be an intimidating challenge for even the most experienced of writers. How do you create compelling copy that actually converts views to clicks? Check out our top five tips for writing winning copy, every time. When you write, remember that it isn’t about you. It’s all about your audience. Persuasive copy– the kind that transforms views into clicks–shouldn’t be about you and your accomplishments. Instead, think of what will serve your current and potential clients by answering one question: How can our products and services fulfill their wants, needs, and desires? Yes, you should absolutely promote your services and credibility by discussing the product and past projects on your site. You’ve earned that right, and promoting those hard-earned accomplishments will certainly attract clientele. Just don’t let that be all you do. Hubspot calls this getting to know your target prospect, and they’re right: whether the client is an existing or future customer, they are always prospects which you should be tailoring your copy for. By situating copy from an audience-centric perspective, you will attract clients who see their own interests in your company. Space is valuable on a website. Don’t waste it with meaningless copy. Filler, fluff, and jumbled paragraphs have little power to convert views to clicks. Instead, take full advantage of visual space by streamlining your copy. Make your writing work for you by ensuring each sentence adds value to your business narrative. Take time to weigh what you say, and use specific phrases that convey meaning without redundancy. This doesn’t mean the copy shouldn’t be creative. Creative copy maximizes limited space by saying a great deal in fewer words. Give weight to SEO friendly sections of your content, in particular, by including intriguing headlines with keywords, audience-centric calls-to-action, and digestible paragraphs with scannable content. Creativity also means stepping away from those tired phrases and overused adjectives. Use specific, concrete terminology unique to your brand. You know exactly who you are. With innovative, streamlined copy, your audience will too. Creative headlines and titles with keywords are prime areas for taking advantage of SEO optimization for your copy. We’re human beings. If we have a problem, we want to fix it. That’s why your audience is on your website in the first place. A key aspect of creating click-worthy copy is including specific calls-to-action (CTA’s). Rather than using passive phrases, you can facilitate conversions by using direct, hard-hitting verbs that spur your audience into action. Effective CTA’s convey a sense of urgency. Write with specific time-frames that promote audience action (“Click here to get a quote today!”), imply exclusivity as a reward (“Get our members-only newsletter”), and anticipate your audience’s potential concerns (“It’s easy, quick, and free! Just click here.”). All of these tried and true marketing tactics will help you create conversions without resorting to clickbait every time. Formatting makes a huge difference in copy that creates conversions versus being ignored. The common denominator amongst different audiences is that they all have very busy lives. Your audience is looking for a specific answer, and they want it now. The format should be short, simple, and concise as a result. Use condensed sentences and shorter paragraphs with clear information. Visually, this is easier on the eyes and allows you to control where your audience’s focus moves. 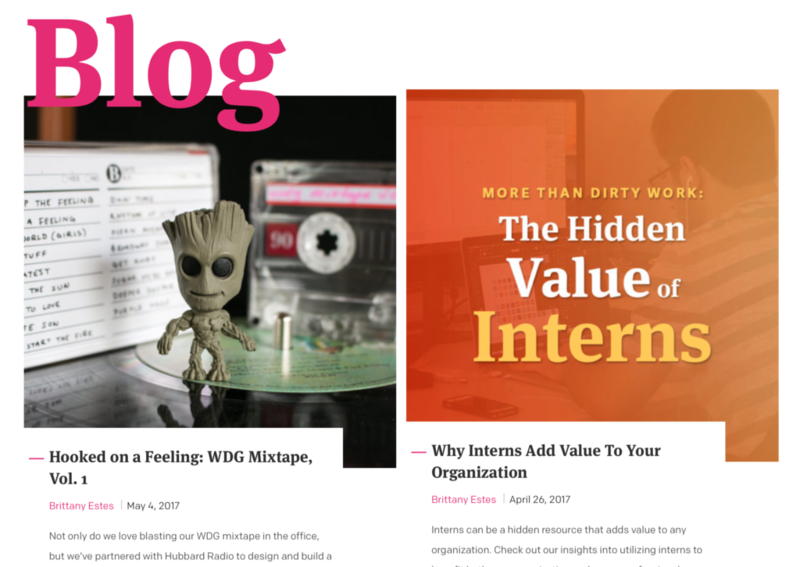 Bullet points, whitespace, headlines and subheaders, bolded sections, and graphics are also helpful additions to any page. To ensure that you optimize your content for SEO purposes, make sure basic SEO elements are correct. Headings should be used with appropriate, descending subtitles (H2, then H3, then H4, etc. ); external links can be used to link to to viable third party sites while internal links can help drive users further into your site. Alt tags for images should be included, and meta descriptions and target keywords enfolded into the content. There are dozens of free tools you can use to find, analyze, and successfully incorporate data into your copywriting practices. 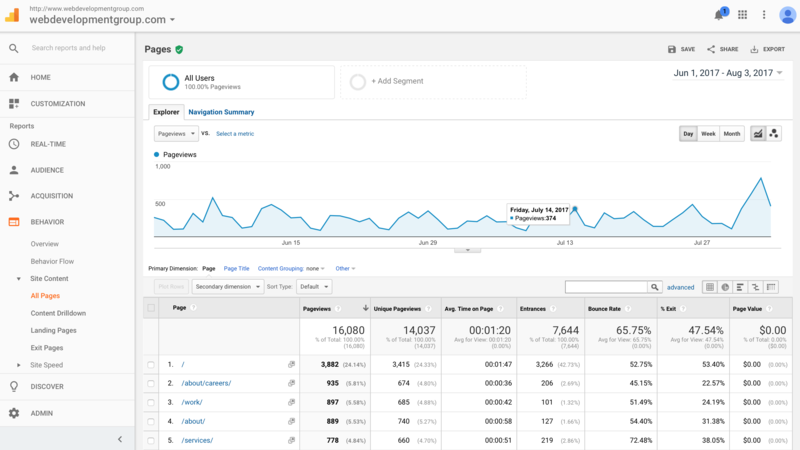 Tools like Google Analytics are easy to use and free, and even have plugins to integrate with your CMS. Helpful tools like Google Analytics can be used to increase conversions through data-informed copywriting practices. Whatever you do, don’t forget about the headline. As a key piece of your well-formatted page, the headline is the one thing that can make or break your click-through rate. Often, people are stumped by headlines. They either try to make them too informative (too long), too clever (too abstract), or don’t offer a clear understanding of what they are trying to sell. An effective headline should grab a reader’s attention, but shouldn’t be ambiguous in meaning. Start with a quick draft. Write an initial headline that clearly conveys the purpose of your page in a few short words. It doesn’t need to be particularly inventive; simply get something down. Once you have an idea of your focus, edit the headline to intrigue your audience without giving too much away. An average of five or six words will usually suffice, though different fields demand lengths (a “how-to” site will probably be shorter than a medical site, for example). Once the headline is written, workshop it with colleagues to see if it’s effective enough to garner interest in the page. Update and edit it as you recycle the content throughout the year, as needed. With these key elements in place, copy writing becomes an integral part of an organization’s process, rather than a mere by-product of a website. Start with these basic principles to create a baseline understanding of copywriting, and then expand with metrics in mind. By employing carefully curated content, you’ll ensure clicks and conversions go hand-in-hand on your site. Want to see what our expert content marketing team can do for your website’s copy? Contact us or email us at [email protected].